Process an Exchange – How can we help? 1. Head to Sales History under the Sell menu. 2. Find the sale you want to process an exchange for and click Return Items. 3. You will be taken to the Sell Screen where the items to be exchanged will be added to the sale. Note: You must attach a customer to process the return even if there wasn’t a customer initially attached to the sale. 4. Add the item your customer wants to exchange to the sale. 5. 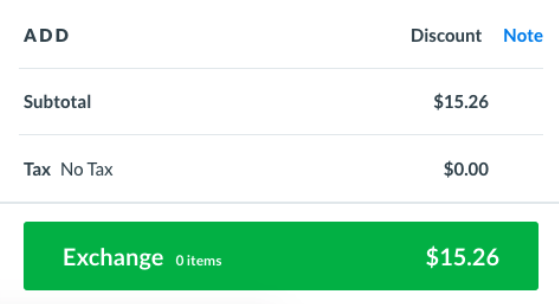 You will see the red Refund button turn into either a green Exchange button if the customer owes you money, or it will remain red, if you owe the customer money based off the exchange. 6. Click on the red or green Exchange button and process the sale as any other in the pay screen. Note: Exchanges cannot be settled using Layby or On Account methods.